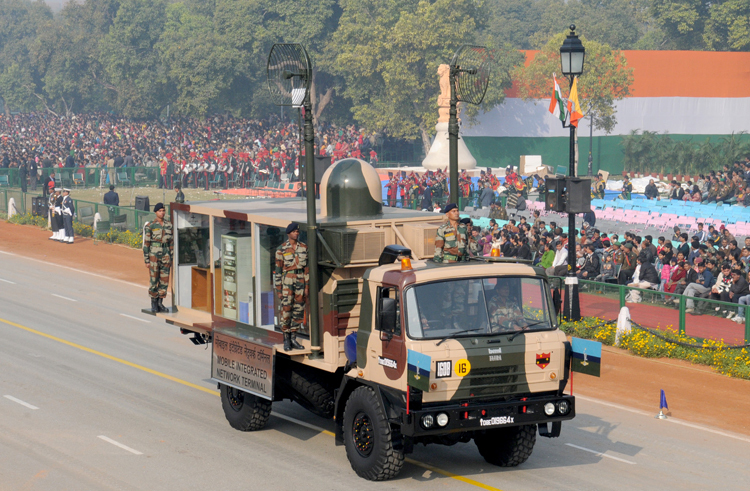 As per news reports of early December 2017, the MoD and the Army were looking at closing down the Battlefield Management System, despite its prototypes being developed by two Indian consortiums. Later reports indicated the Army had ordered foreclosure of the BMS project. 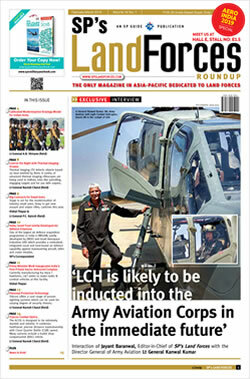 In-house reports also confirm Army has scrapped the projects due to high costs. Post establishment of the Directorate General of Information System (DGIS) in 2004, Army's Tactical Command, Control, Communications and Information (Tac C³I) system was taken up, of which the BMS was one component, other components being the Artillery Command, Control and Communications System (ACCS), Air Defence Control and Reporting System (ADC&RS) and Battlefield Surveillance System (BSS). Of these operational information systems (OIS), only the ACCCS has been fielded in the Army to-date. All components of the Tac C³I, including BMS, are be integrated through the Command Information and Decision Support System (CIDSS), also being developed by the DGIS. The Tac C³I will also integrate Army's Electronic Warfare System (EWS) and Electronic Intelligence System (ELINT) operating under Military Operations and Military Intelligence Directorates respectively. The Tac C³I is to provide state-of-the-art C4I2 connectivity within the Army at Corps HQ and below levels. The BMS is to enable faster decision process by commanders at all echelons, better decision with reliable operational information provided in real time and have the ability to quickly close the sensor to shooter loop by integrating all surveillance means to facilitate engagement; through an automated decision support and command and control system, exploiting technology for mission accomplishment in the tactical battle area (TBA) by rapid acquisition, processing and transfer of information, enhanced situational awareness, capability to react to information, sharpen ability to synchronize and direct fire, plus establish and maintain total surveillance resources. In simple terms the BMS integrates resources bringing them to the right place, at the right time, with right lethality to provide real time, appropriate, common comprehensive tactical picture; to link the soldier to the battalion / combat group commander level for situational awareness and decision support. The BMS was to comprise a tactical hand-held computer with individual warfighter and tactical computers at Battle Group HQ and combat vehicles, enabling generation of common operational picture by integrating inputs from all relevant sources through integrated use of a high data rate geographical information system (GIS) and GPS. The BMS approach paper floated in early 2000s envisaged development, trials and GS evaluation in period 2008-2009, followed by its fielding into the Army during 2013-2017. But the MoD-Army red-tape and DRDO intervention to grab every project took over. Only by end 2011 Defence Acquisition Council approved the BMS as a 'Make India' project, followed by Integrated Project Management Study, Expression of Interest (EoI) prepared with industry empanelment pending with MoD, latter expected to be issued to the industry by August-September 2013. At that time it was envisaged to shortlist two Developing Agencies (DA) by about March 2014. Subsequently, design phase was expected to commence by July 2014, limited prototype tested in laboratory by end December 2015 and finally, prototypes developed and fielded for user evaluation by December 2016 (instead of earlier schedule of 2012). The cascading effect by then had already delayed completion of Phase 2 (Equipping) from initial plan of 2017 to 2021 and Phase 3 (Change Management and Up-gradation of System) from 2022 to 2025 as per then status. This delayed schedule too was considered possible only if there were no further hurdles. 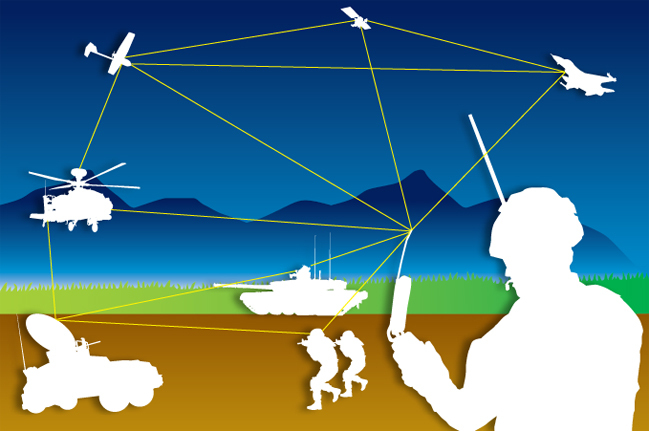 Technologies to be included in each prototype include a geographical information system (GIS), multi-sensor data fusion system, rugged computing devices, and software defined radio-based communication system for soldiers. As per media, the sanctioned cost of Project BMS in 2007 was 350 crore per DA, but presently MoD is still bargaining for the DAs to slash development costs from the quoted 2,500 crore. Speculations in media centres on Army finding it difficult to balance between its immediate weapon requirements and force multipliers like the BMS in run up to Defence Budget 2018 since at today's prices, the BMS for the entire Army to be fielded by 2025, is to cost upwards of 50,000 cr. In addition, development cost by two DAs under high-priority 'Make' category of 5,000 cr is to be compensated by Army paying back 1,000 cr over five years out of its own allocation. There is also a view being floated that optimal use of BMS is in two tactical war scenarios which are no longer relevant – own forces operating in foreign lands, and deep ingress in enemy areas. However, deeper analysis is required why a high-priority 'Make' category project like the BMS has ended in foreclosure. With rapid technological advancement, you cannot have the same archaic procedures and policies for information systems and communications – with all the hype about "ease of business", the present system with respect to information systems and communications amounts to "disease of business". Over reliance in governmental defence-industrial complex is another major reason for the delay. In the instant case, BEL has been facing the same problems as it had in developing the ACCCS — bulk imported hardware and technology but limited indigenous capacity in applications, design and software customization. Yet, the MoD-DRDO duo combine wanted BEL in the project, causing deliberate delays in progressing the case. Incidentally, the ACCCS fielded in the Army though bearing the BEL stamp is more than 85% Elbit of Israel. ACCCS was a 'Buy and Make' project for which the Commercially Available Off The Shelf (COTS) approach was followed with tactical computers procured from Elbit, Israel for the test bed with provision of Transfer of Technology (ToT), and other hardware obtained by BEL commercially from indigenous sources or manufactured by them. Had we opened the private sector to the BMS project early, like done with Tata Power SED-L&T now, the BMS fielding could have been on its way by now. Not only are India's investments in R&D abysmal, it has failed to establish separate R&D fund, and has failed in creating environment for private sector investing in defence R&D. In the instant case, it is criminal to want the Army to dish out 1000 cr as development costs, with both the current and preceding defence budget 'negative' in actual terms. If the government promises 80% development cost of a project to the DAs, it must find R&D funds from elsewhere or cater for additional funds for the same, over and above allocations to the Army. Annual defence allocations are slashed by the Finance Ministry arbitrarily without discussing operational imperatives. India lacks a system like in the US where pre-budget presentations are made to Senate Armed Forces Committee by the Military stating what present operational capability is, what funds are needed and given that allocation, what the operational capability will then be. It is the Senate Armed Forces Committee that recommends the defence budget to the Congress, not the Department of Defence. In contrast, there is little dialogue in such operational matters with MoD holistically other than moving individual cases on file. The Army has taken the course of least resistance by simply scrapping the project, possibly on a hint from MoD. Establish separate procurement process for information systems and communications in keeping with rapid technological advancements vis-à-vis fielding and requirement of upgrades. Integrated Battlefield Management System (IBMS) of Pakistan Army is designed for the operations of amour units in the field to meet the requirements of future battlefield. The user-friendly system provides battlefield awareness through comprehensive land navigation system based on GPS and digitized maps. 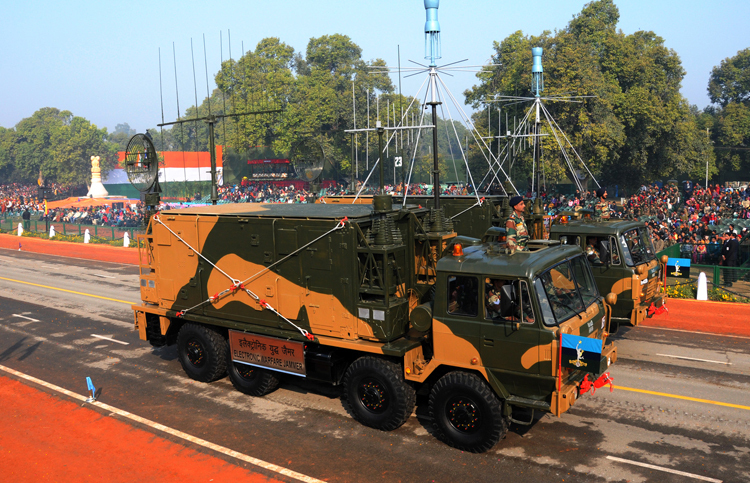 It enables commanders in mission planning, modification and dissemination of plans, monitoring of battlefield at tactical and operational level, through safe and secure radio network. Pak-IBMS(Rehbar) also facilitates commanders in remote firing of AAMG by auto tracking the aerial and ground targets from inside the tank. Situational Awareness Module enables war-fighters to see integrated battlefield picture through displays of terrain information. Combat Messaging System Module enables commanders to exchange critical information/ orders in near real time and save history of messages. Tactical Mission Planning Module helps commanders to prepare plans, overlays and mark no go areas on digital maps. The plans made during peace time can also be loaded, edited and modified based on intelligent information. Ruggedized hardware to work in harsh environmental conditions based on Military specifications.